Prizes of £100, £75 & £50 to 1st, 2nd, and 3rd Male and Female finishers to be presented on the night. Vouchers to Category winners posted in the following days. NOTE: We won’t be accepting any entry amendments later than 2 weeks from the race date. We will once again have the use of the tremendous facilities at Castle Park the home of Championship Rugby Club the Doncaster Knights. 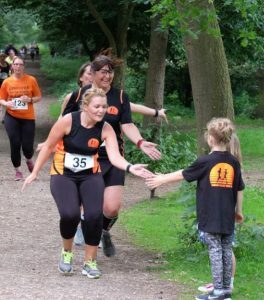 They will be providing us with changing and showering facilities along with hot and cold food, refreshments and of course a fully licensed bar, where you will be able to regale your account of the great race you have just completed. Sandall Beat Wood is the most popular woodland in Doncaster, it was established in the early 1800’s and it is recognised as a Site of Special Scientific Interest and Local Nature Reserve. 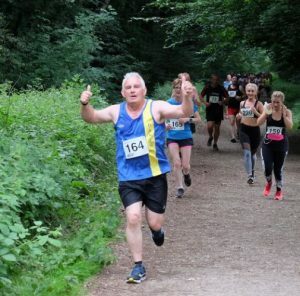 The woodland covers 140 acres and it is well served by many woodland trails making it the ideal venue for this 10K race. Doncaster Athletic Club makes good use of the woodland and surrounding area on their training nights. The start and finish areas have changed following site developments but remain within the Doncaster Knights ground. The surface conditions are in general, well made trails, grass, stone and a few hundred meters of tarmac pavement towards the finish. Depending on the amount of rainfall some areas can be wet and muddy underfoot. The route is free of obstructions such as stiles and bridges.